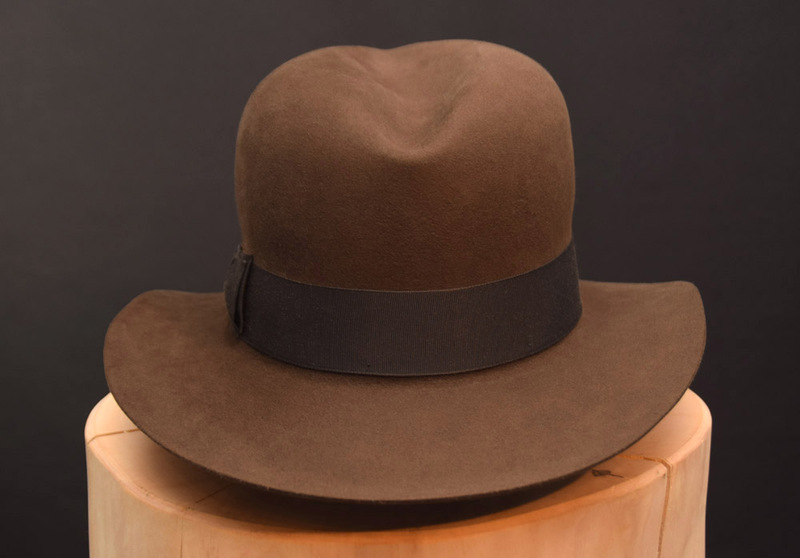 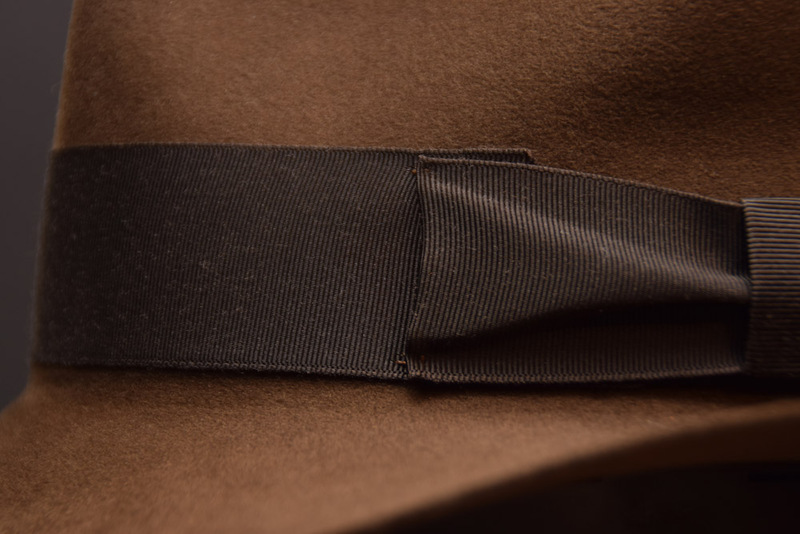 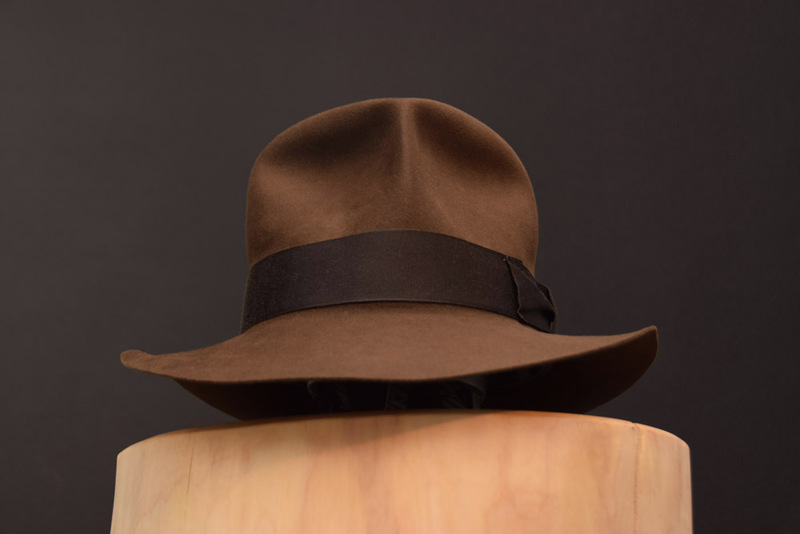 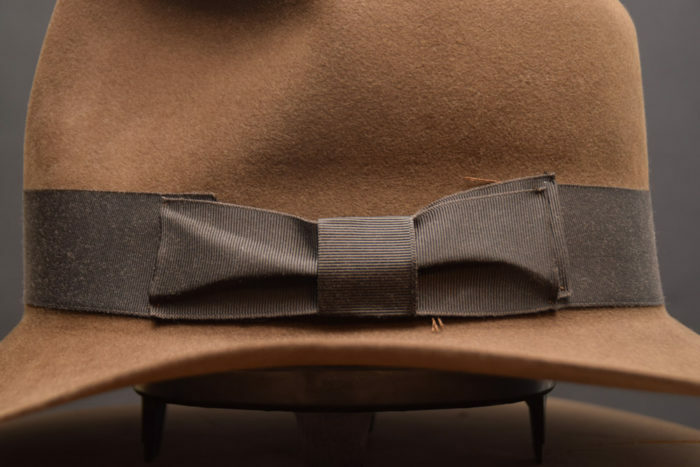 A “Streets of Cairo” Fedora Hat, colour “sable”, handcrafted from 100% beaver felt. 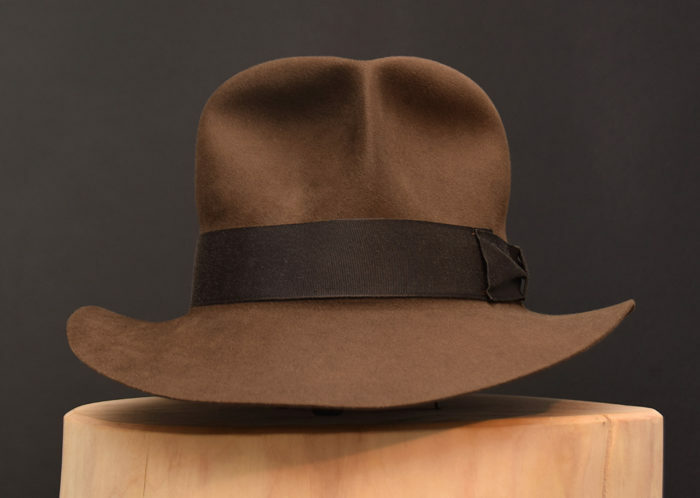 A special thing about this hat is the bow, which I tried to make like the bow on the screen used hero hat, that was on auction in London September 2018. Furthermore the surface ofthe felt is a bit rougher to replicat the look of the original hat, which was made of 100% rabbit fur felt.